Background: The present discussion reports the synthesis of a series of novel derivatives 2, 4-disubstituted -1, 5 -diphenyl substituted -1-H-imidazole derivatives and their molecular modeling studies as antitubercular agents. Methods: Various substituted aromatic aldehydes (0.01 mol) and anilines (0.01mol) reacted in the presence of methanol and glacial acetic acid into Schiff bases. Schiff bases were treated with TOSMIC (0.01 mol), dioxane, methanol and K2CO3 to give various key intermediates such as 1, 5- diphenyl substituted -1 -H- imidazole derivatives. 1, 5- diphenyl substituted -1 -H- imidazole derivatives which are utilized to develop further derivatives. Results: The synthesized derivatives were characterized using IR, 1HNMR and Mass spectra. Compounds A-IVn,B-IVe,B-IVf, B-IVg, B-IVj, B-IVk, B-IVm, B-IVn, C-IVa, C-IVc, exhibited the potent antitubercular activity at (1.6 g/ml to 100 g/ml) concentration. The results indicated that compounds containing diphenyl substitution with 2–Fluro, 3-Nitro, 2-Chloro, 4-Bromo, 3-Hydroxy,4- Methoxy,4-Nitro, 3-Chloro, 4-dimethylamino and 2,4-dinitro showed potent anti-tubercular activity. QSAR analysis revealed the importance of electronic and steric parameters in anti-tubercular potential of imidazole derivatives. 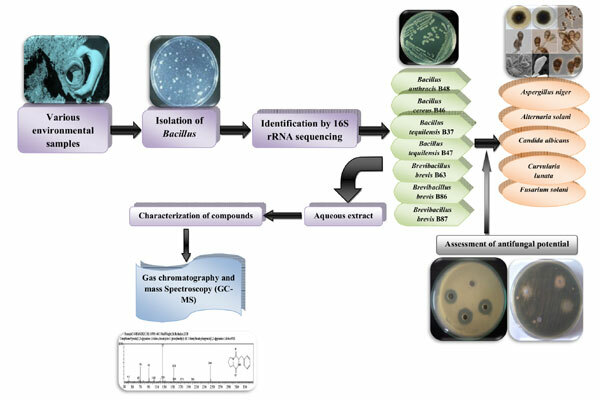 Conclusion: Developed Imidazole derivatives showed promising anti-tubercular activity, further development of imidazole derivatives using QSAR and pharmacophore modelling will result in the development of potent anti-tubercular derivatives in the future. Keywords: Imidazole, schiffs base, TOSMIC, antitubercular, QSAR, pharmacophore, Microplate Alamar Blue Assay. Keywords:Imidazole, schiffs base, TOSMIC, antitubercular, QSAR, pharmacophore, Microplate Alamar Blue Assay. Abstract:Background: The present discussion reports the synthesis of a series of novel derivatives 2, 4-disubstituted -1, 5 -diphenyl substituted -1-H-imidazole derivatives and their molecular modeling studies as antitubercular agents.